Refrigerators are the cornerstones of the modern life. 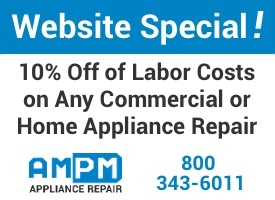 It’s no wonder that a cracked or not working refrigerators can amount to a big problem in most of households, and the question raised that whether to repair or replace these appliances the, AMPM Appliance Repair is answer to you where you can find refrigerator repair in Pacific Palisades. 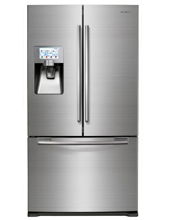 Most common problem with refrigerator, Are you experiencing one of these list below if yes then call our professional for refrigerator repair in Pacific Palisades. Does your refrigerator feel warm, even though you have it set to the coldest setting? Do you smell a strange odor when you open your refrigerator door? Is your fridge making loud or ‘strange’ noises? Does your refrigerator sound like it’s ‘trying too hard’ to stay running or cycling more often than it should be? Is there water leaking inside of or from your refrigerator? Is their moisture or wetness in your refrigerator’s fresh food compartment? Is the outside of the refrigerator sweating? The root of your problem of your refrigerator could be a blocked drain tube, a leak in the ice-maker line, a leaking gasket, or dirty coils. Our Pacific Palisades refrigerator repair specialists are on hand to help! Our Pacific Palisades refrigerator repair management is on top of all technological changes occurring in every type of appliance in the market today. Contact us at 800-343-6011 and we’ll send one of our trained refrigerator repair technicians to quickly diagnose and fix the problem. Our Pacific Palisades refrigerator repair techs carry a vast inventory of parts for all makes and models of appliances to ensure that we can handle just about any type of residential or commercial refrigerator repair on the spot. Mention that you found us online to receive a 10% discount on labor costs!